There is a new version of this course. 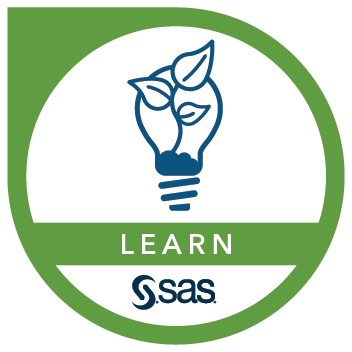 Please see SAS® Programming 1: Essentials. This course is for users who want to learn how to write SAS programs. It is the entry point to learning SAS programming and is a prerequisite to many other SAS courses. If you do not plan to write SAS programs and you prefer a point-and-click interface, you should attend the SAS® Enterprise Guide® 1: Querying and Reporting course. No prior SAS experience is needed. If you do not feel comfortable with the prerequisites or are new to programming and think that the pace of this course might be too demanding, you can take the SAS® Programming Introduction: Basic Concepts (Korean Recorded Course) course before attending this course. SAS® Programming Introduction: Basic Concepts (Korean Recorded Course) is designed to introduce you to computer programming and presents a portion of the SAS® Programming 1: Essentials material at a slower pace. This course also addresses SAS/ACCESS Interface to PC Files and SAS/GRAPH software. This course is appropriate for students who are using SAS 9 software. Includes this course, Programming 2, practice exam, exam voucher and SAS Certification Prep Guide (pdf).